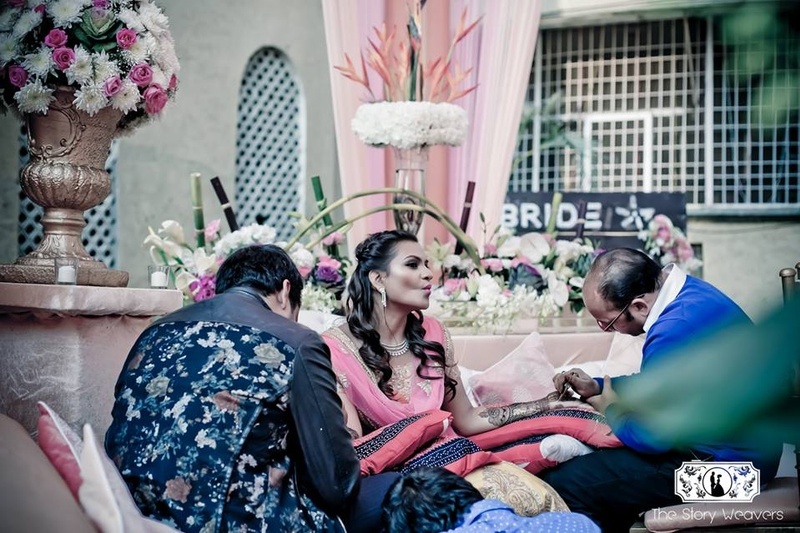 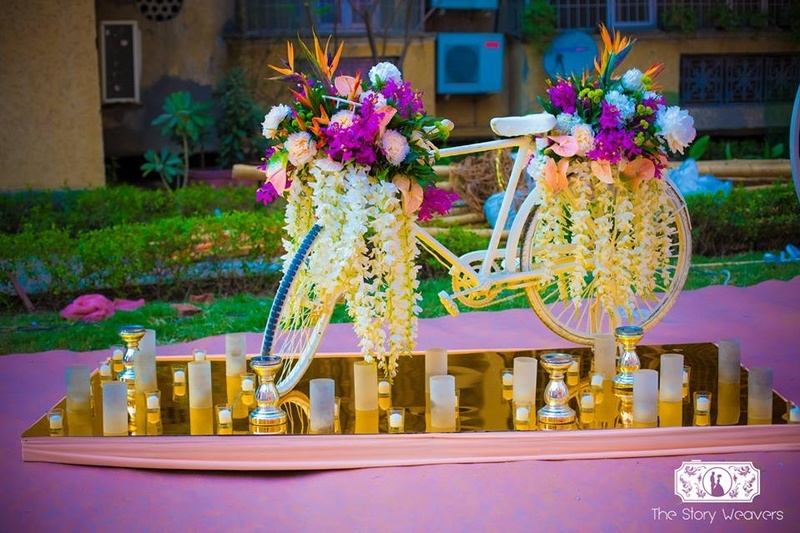 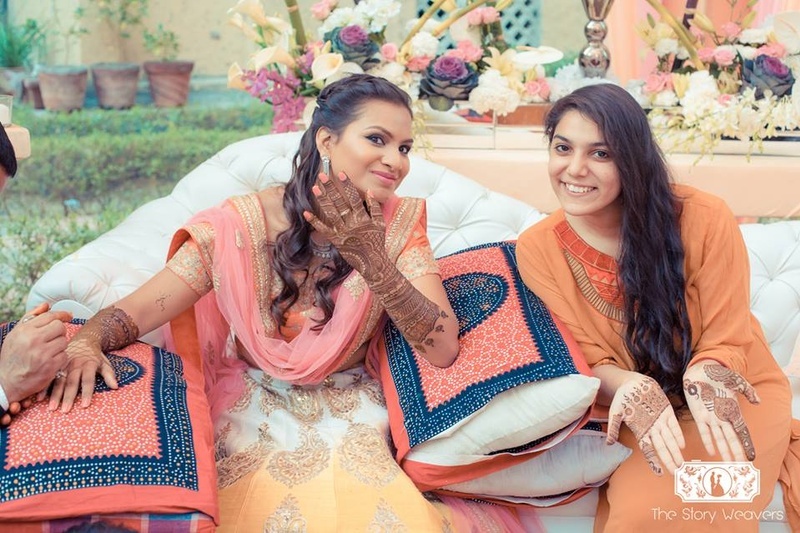 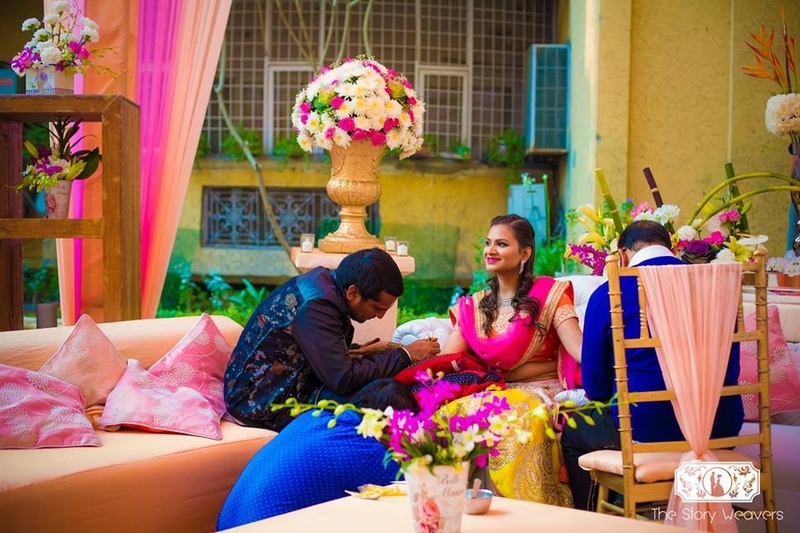 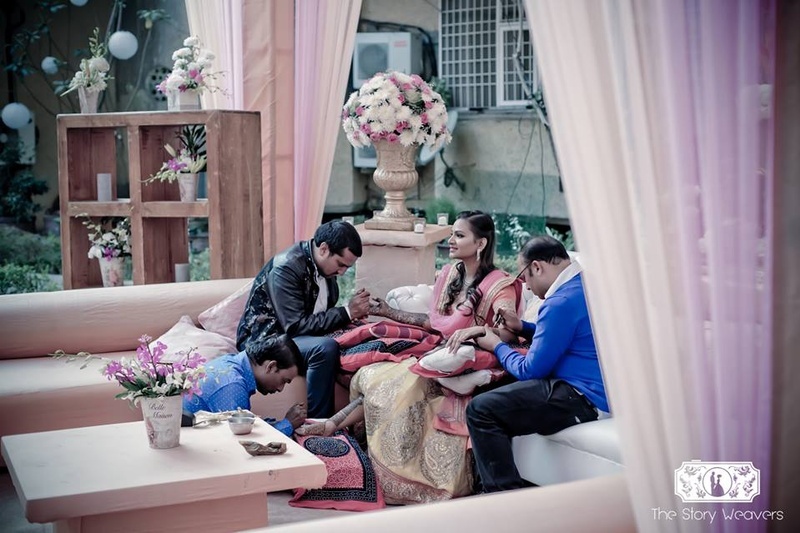 A Fully Floral Mehndi Ceremony held in a Garden of a Housing Society! 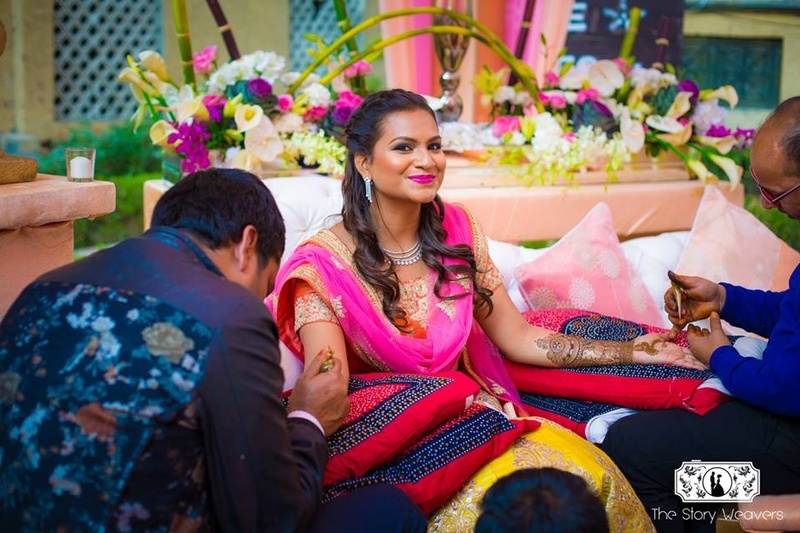 A garden mehndi so pretty you'll want to steal the idea for your wedding too! 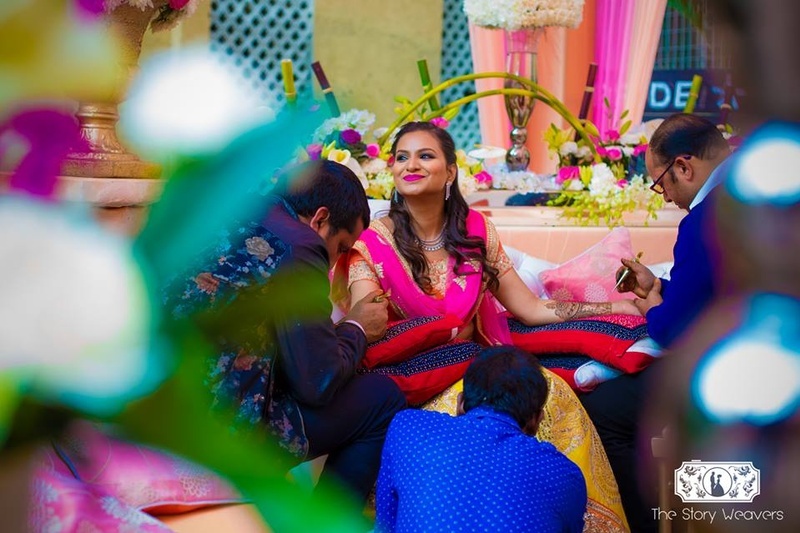 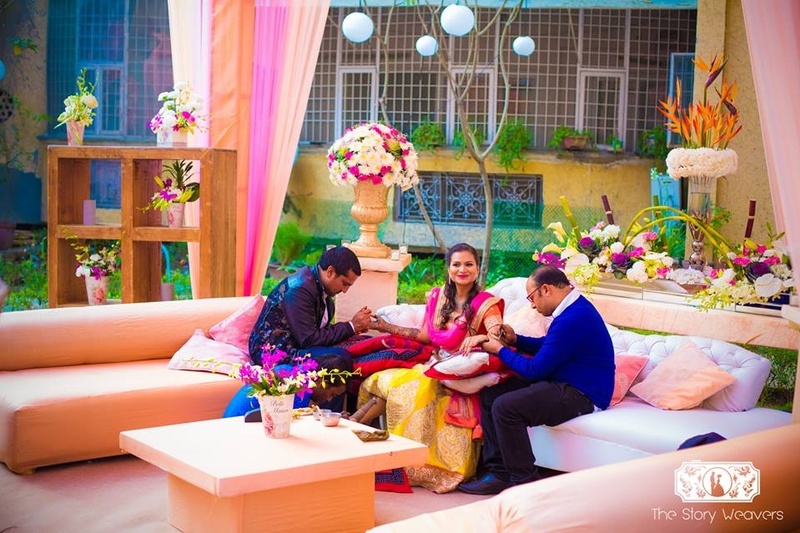 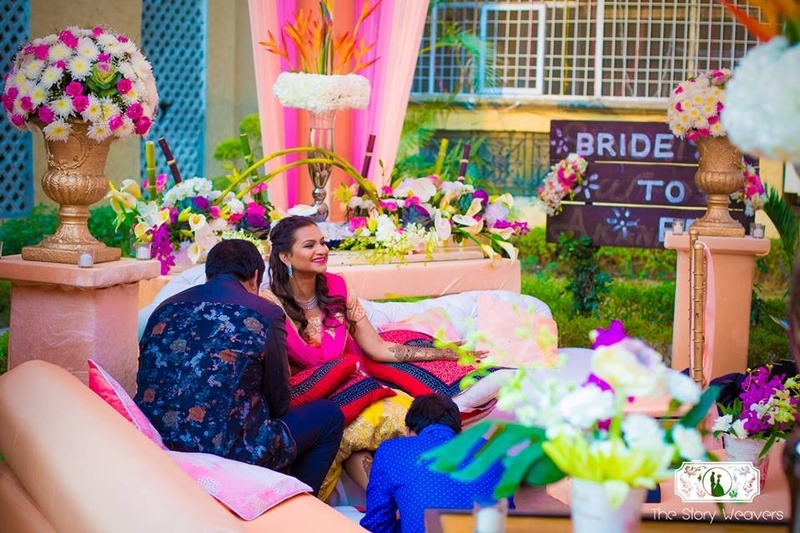 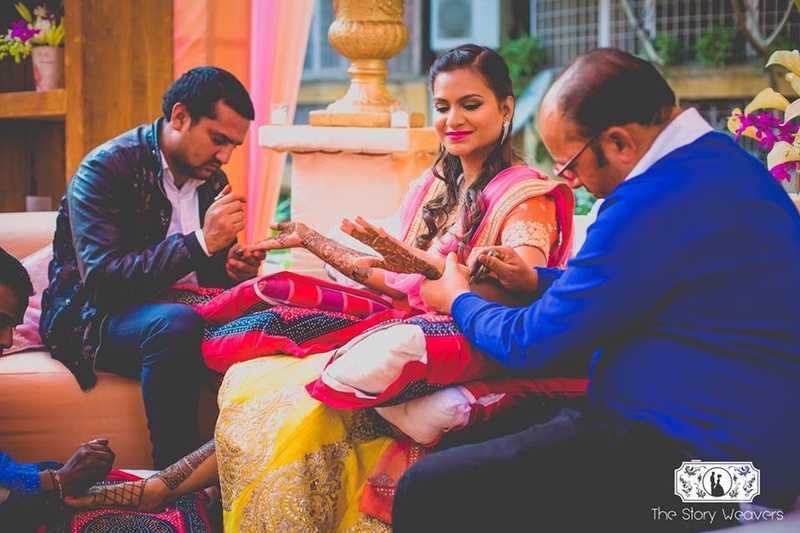 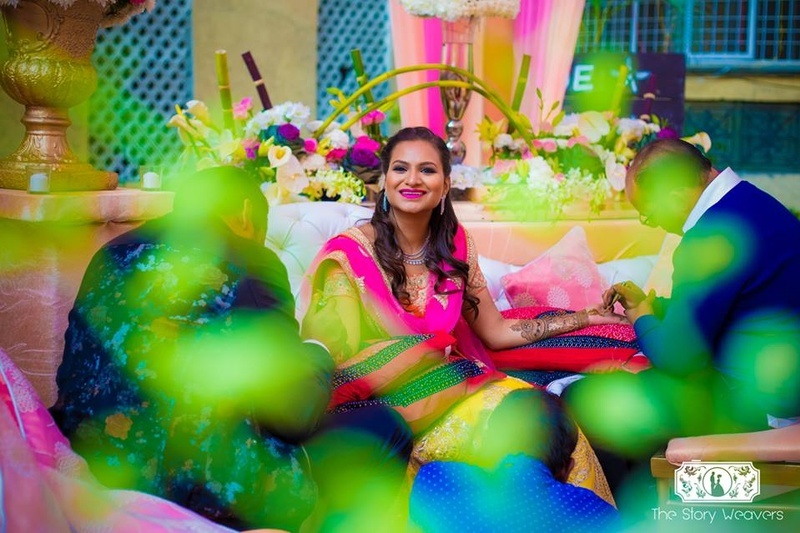 Bride shruti decided to have an extravagant mehndi inside of a housing society in the garden area of Antriksh Society sec-50, Noida. 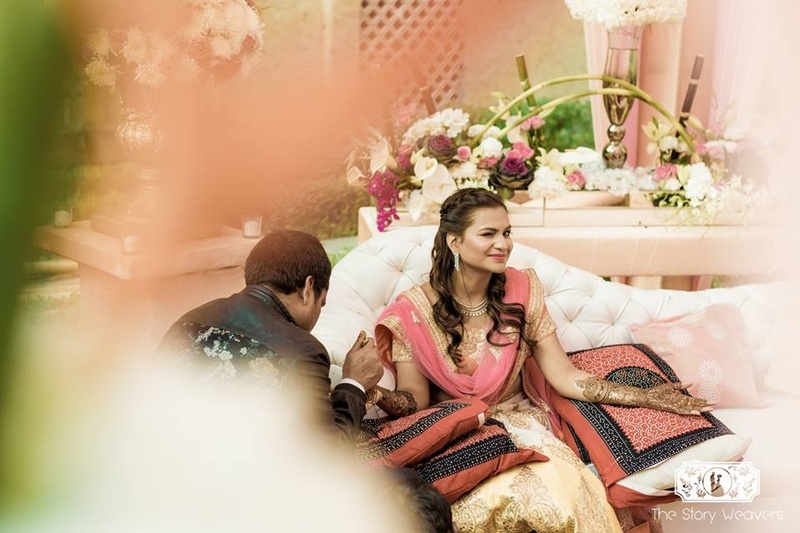 Full of fresh flowers and drapes in tones of pink and peach this mehndi ceremony was a breath of fresh air from all the classic yellow marigold laden ones we've seen! 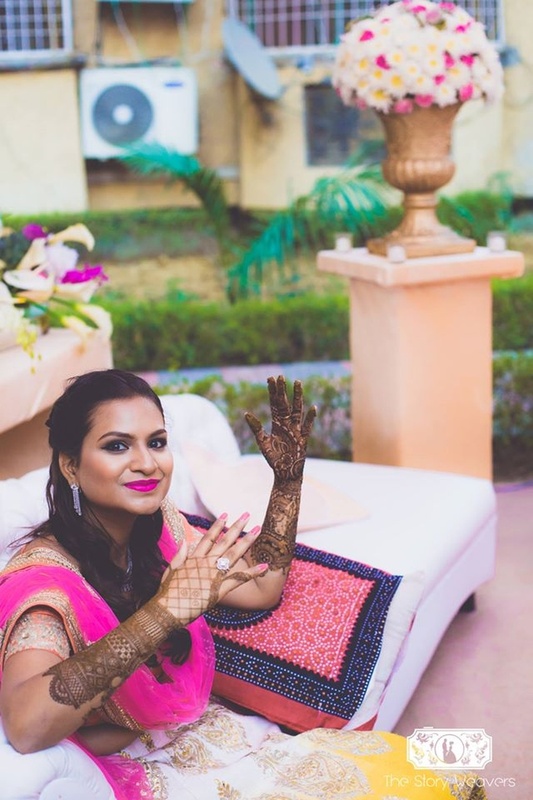 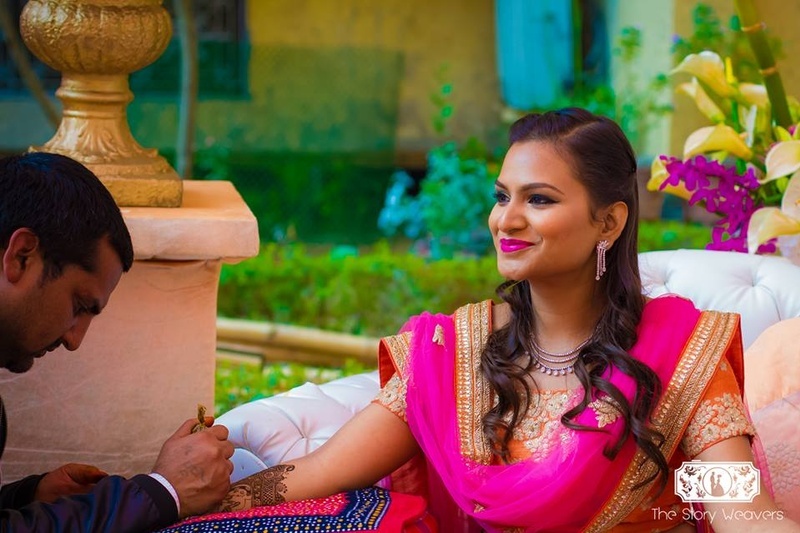 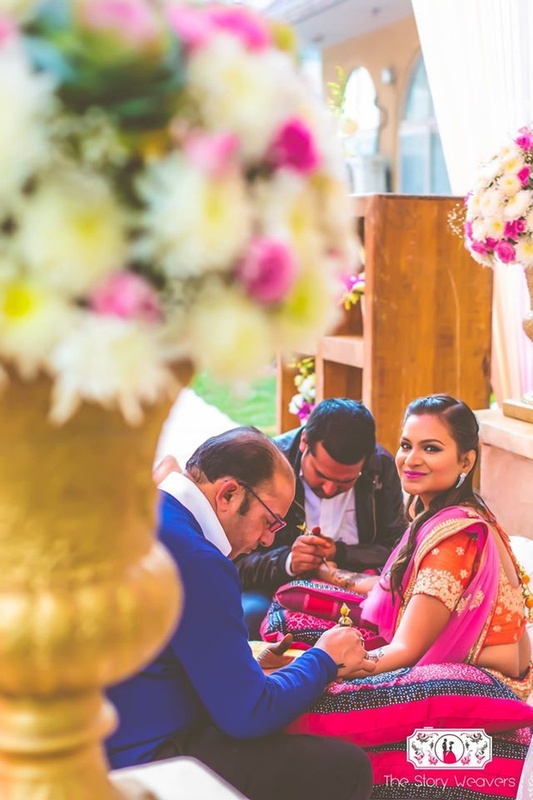 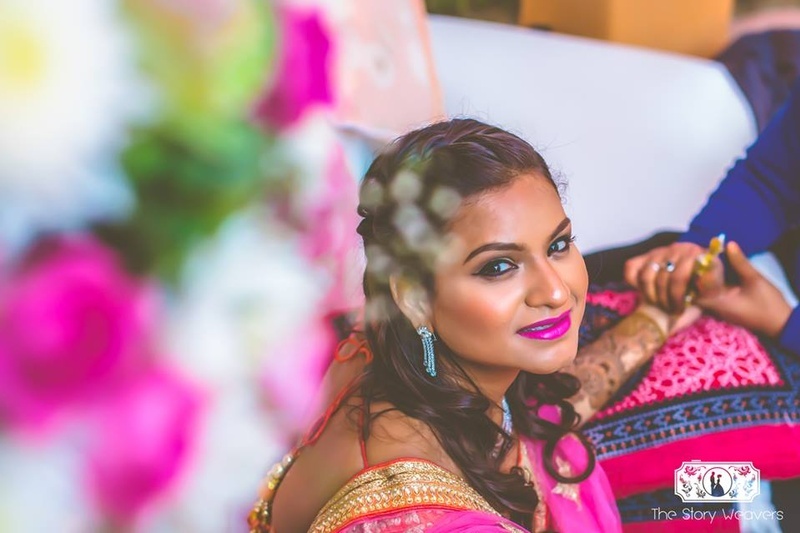 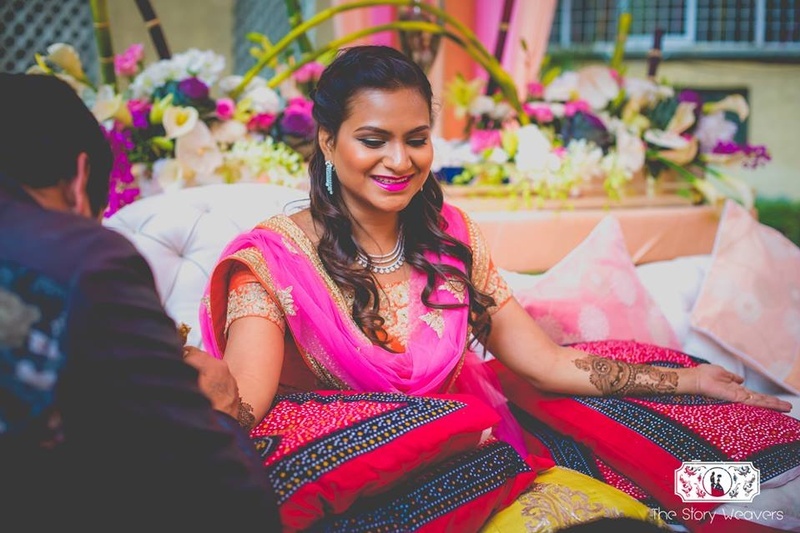 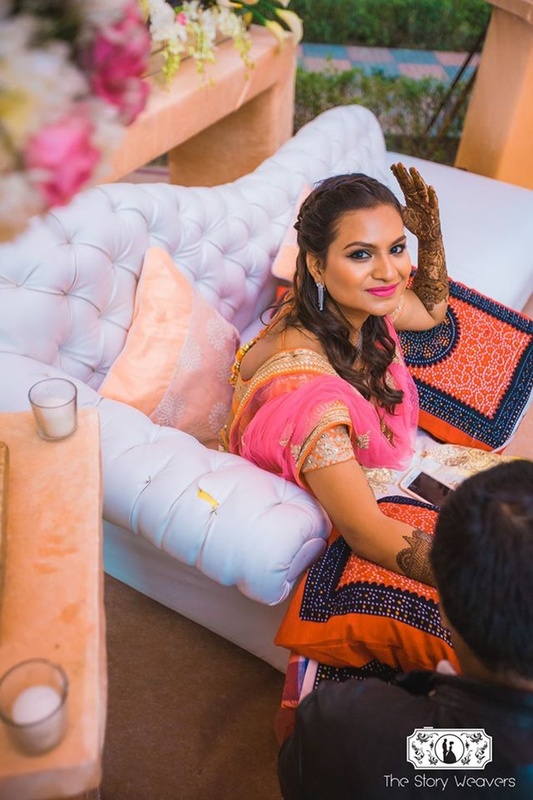 This stunning bride got bronzed up for her makeup with bold pink lips and diamond jewellery to match the vibe of her classy mehndi ceremony. 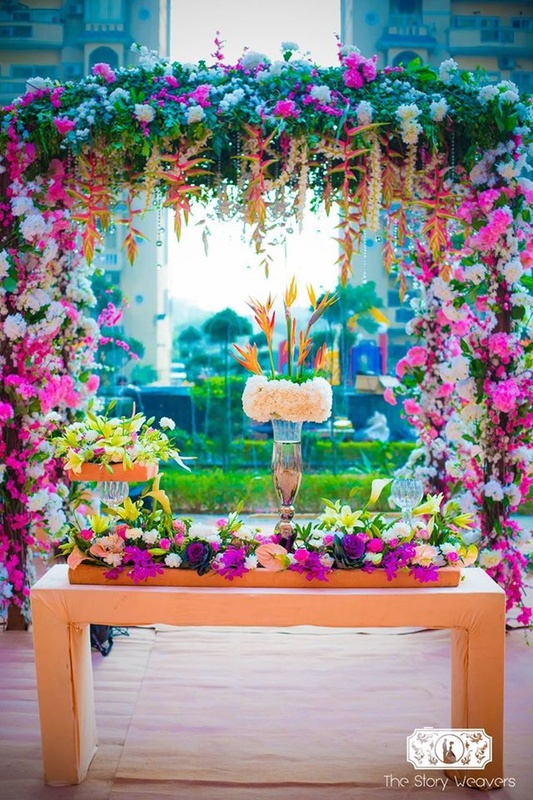 Chivaris with drapes and wooden shelves with candles and flowers galore! 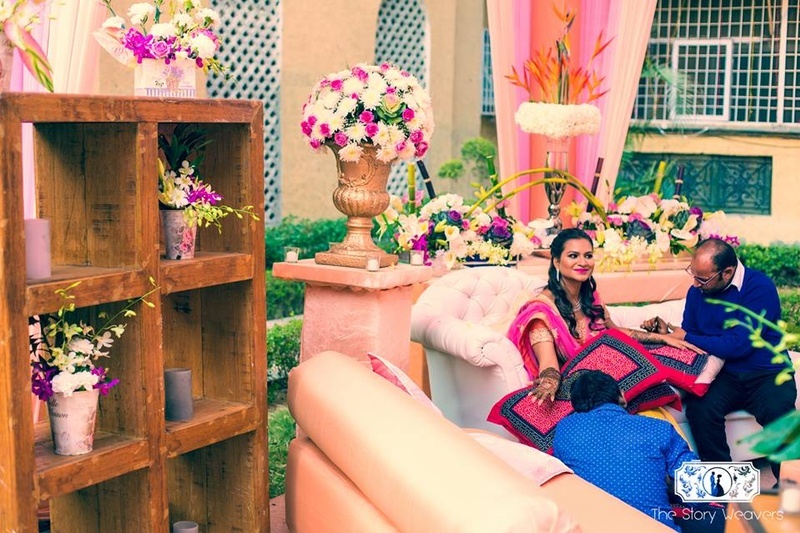 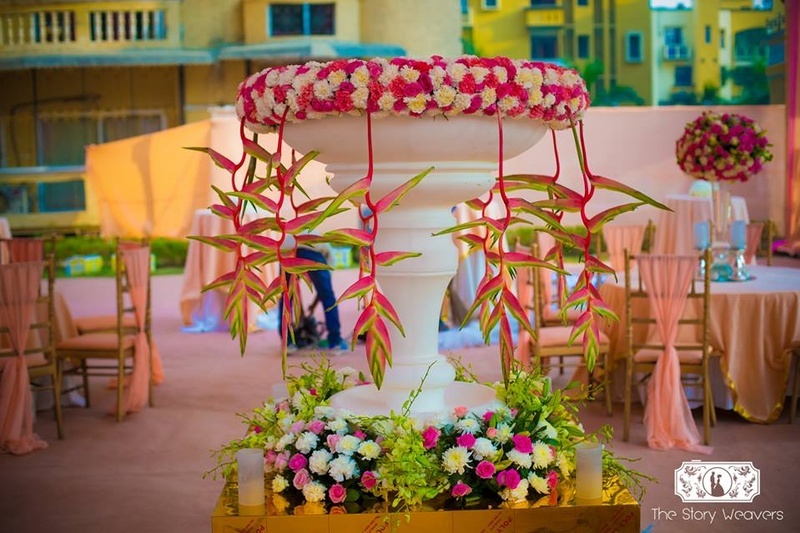 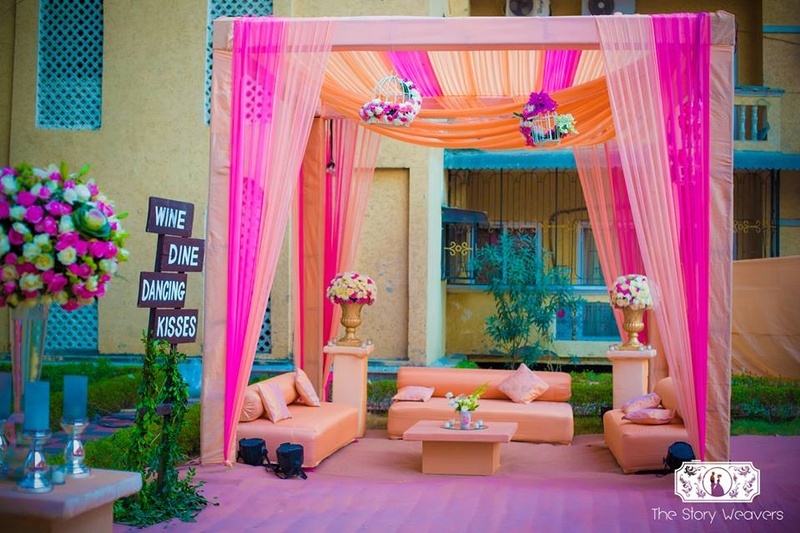 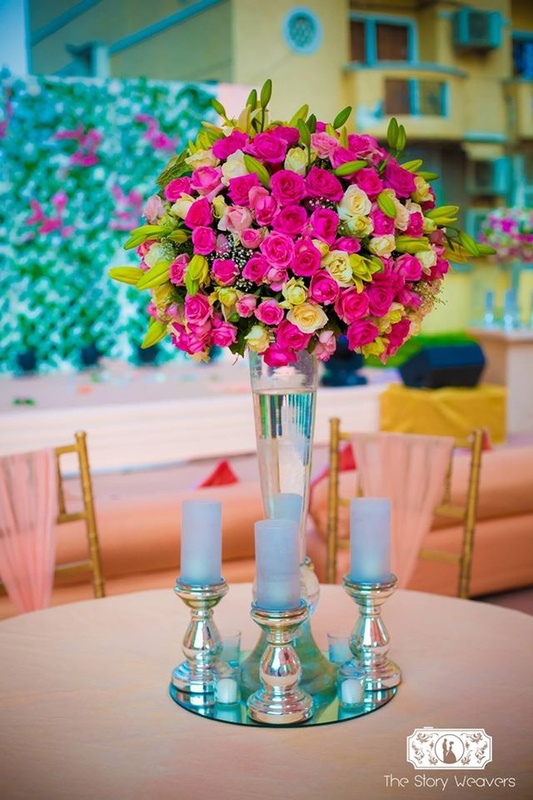 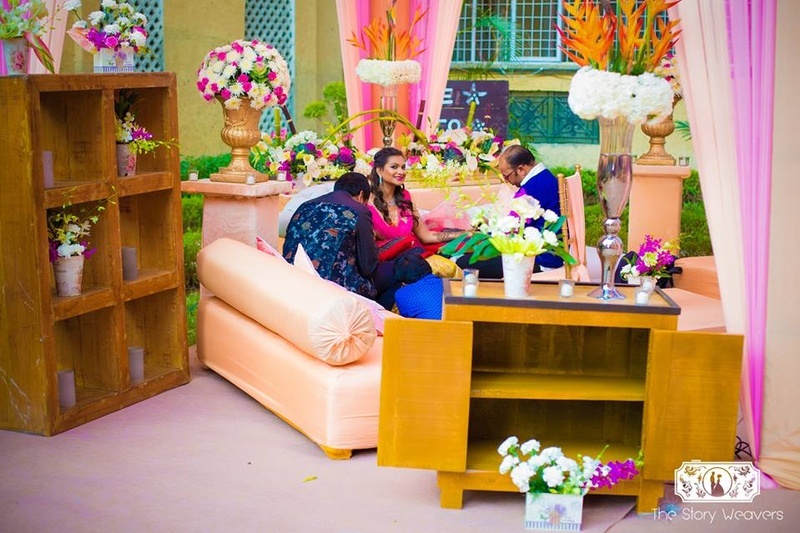 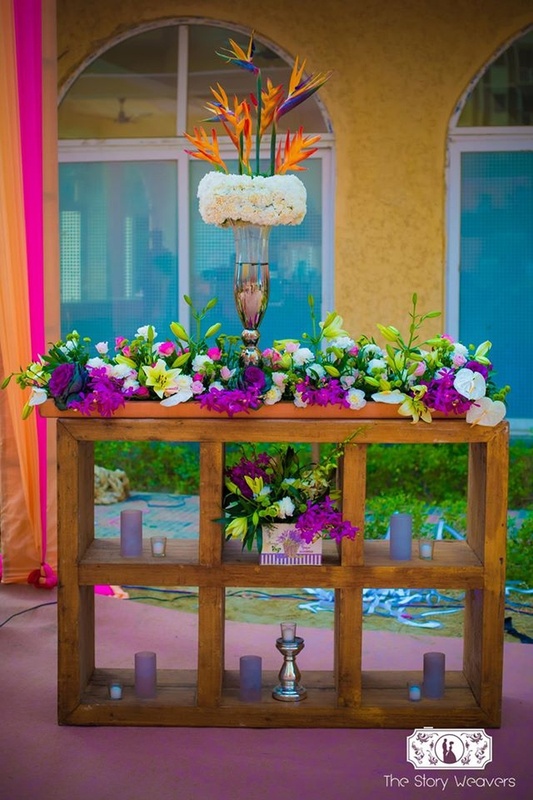 This garden area inside of a society had just turned into a magical mehndi ceremony space thanks to the expertise of the team at Elements Decor. 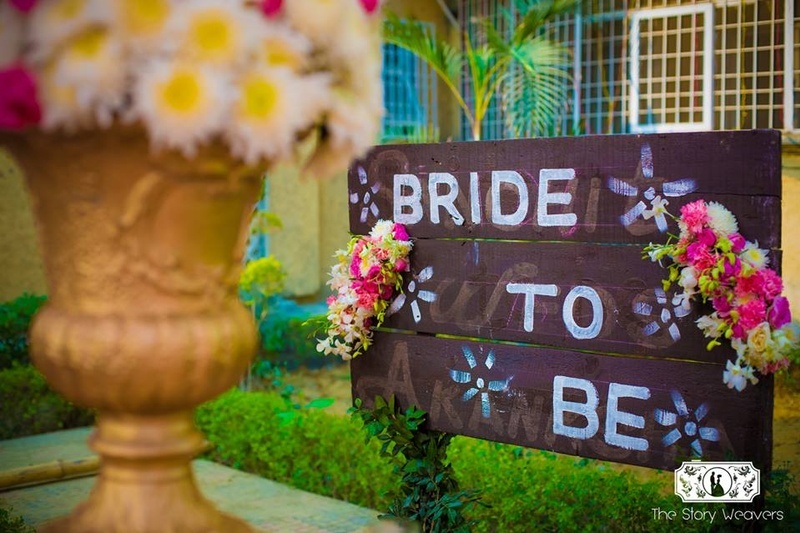 My only advice to the “brides to be” is that please don’t stress and be in the bridezilla mode. 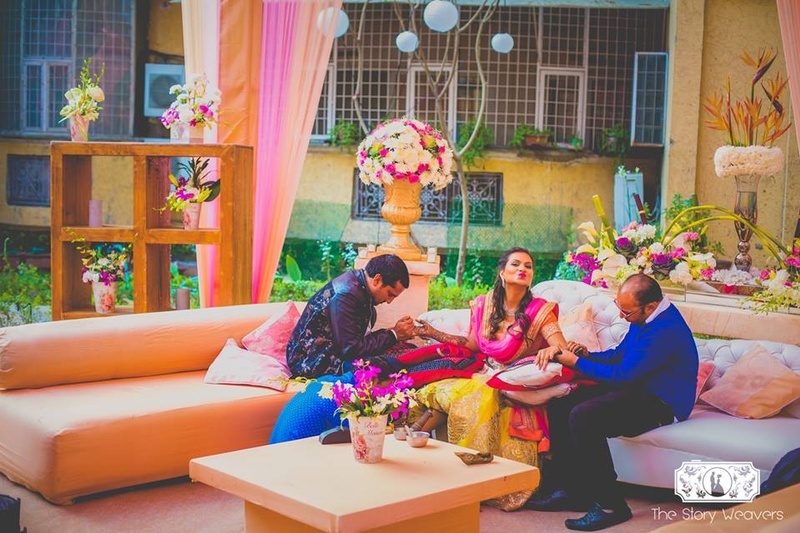 You only get married once, so enjoy all the phases with your best people around. 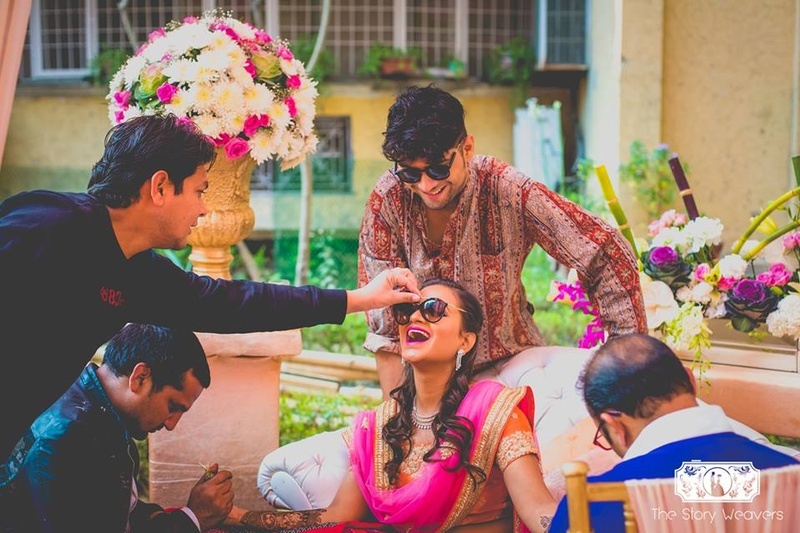 Have fun at your bachelorette, get drunk and absorb as many happiness as you can because the wedding functions/days will pass so fast that you will miss the moments later. 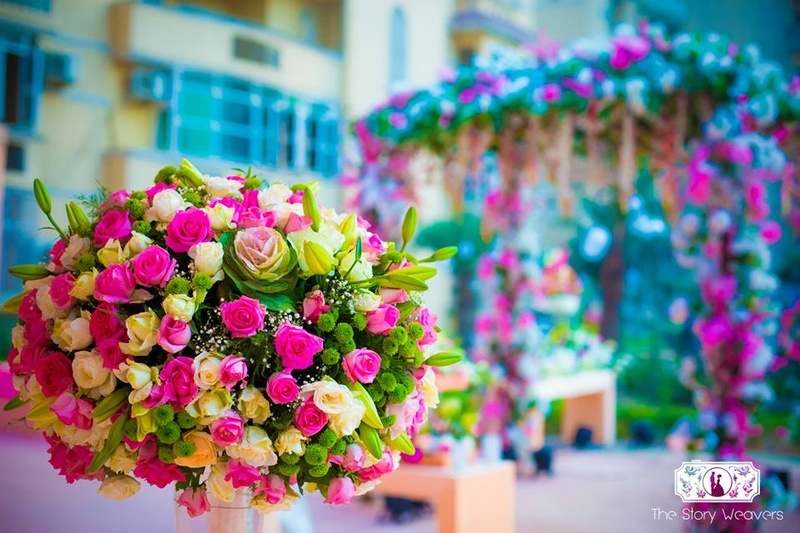 You do not want to regret of not living it at most. 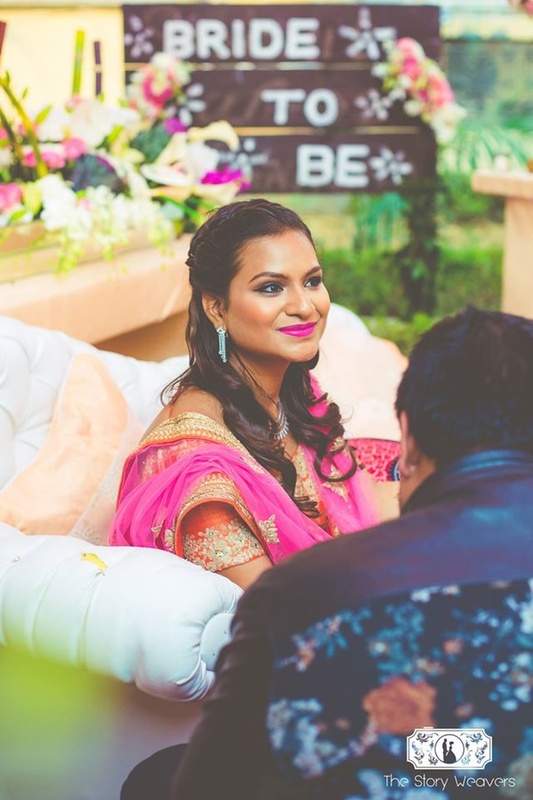 Be who you are and carry on! 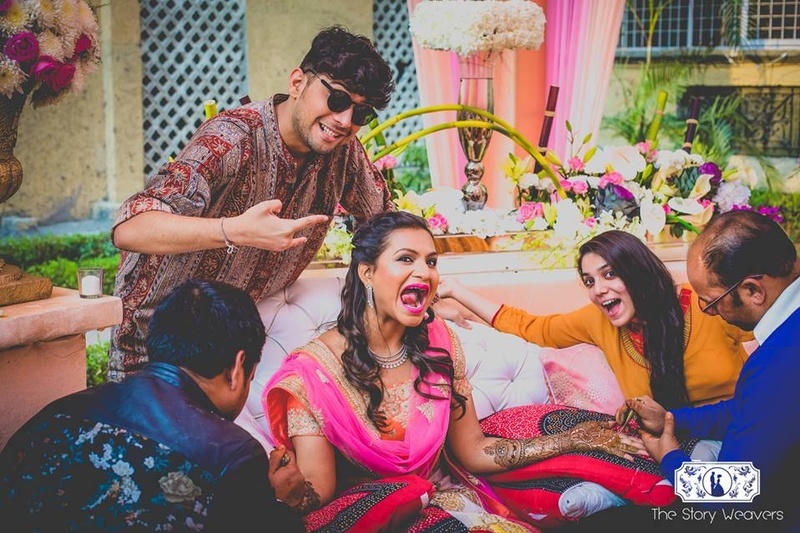 - Shruti. 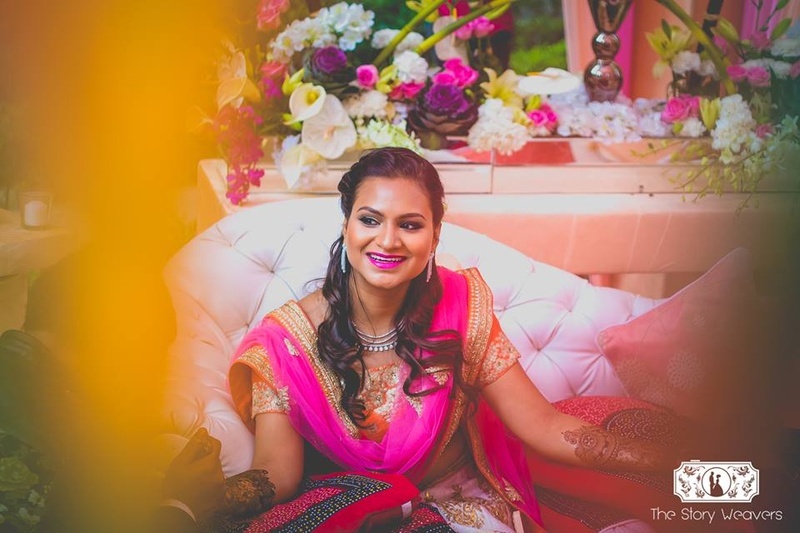 Scroll down to see these stunning photos captured brilliantly by The Story Weavers! 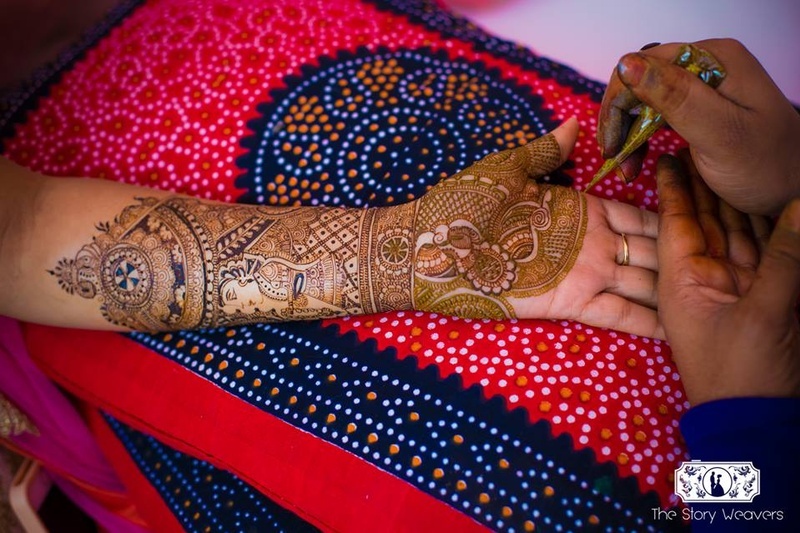 Mehndi artists from delhi working their magic on bride Shruti. 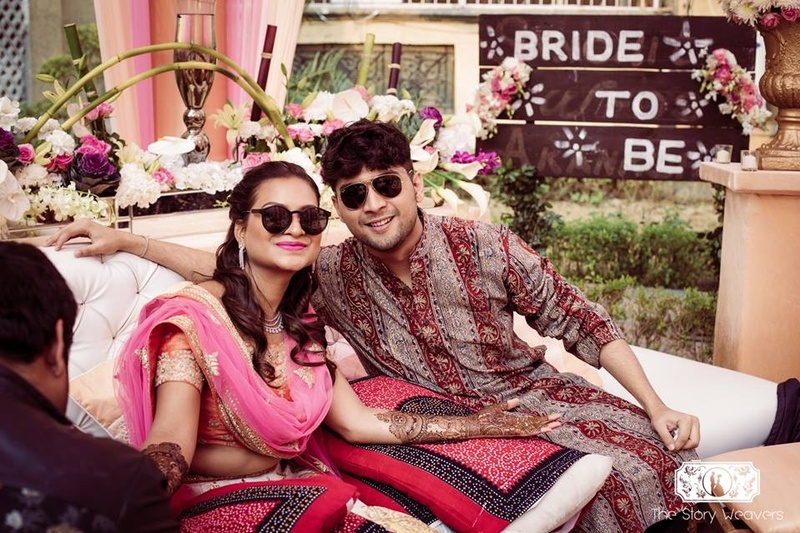 it's a shady affair at this outdoor mehndi ceremony! 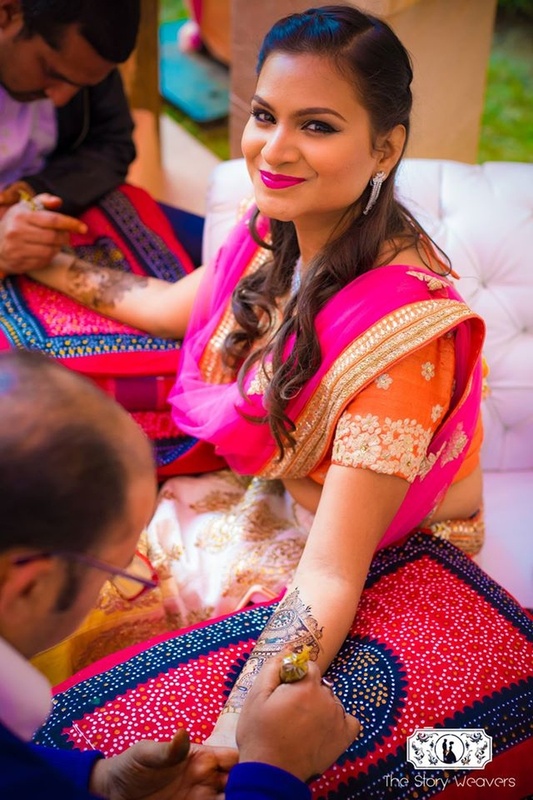 A happy bride is the prettiest!